Most resources in Kubernetes are managed by kube-controller-manager, or "controller" for short. A controller is defined as "a control loop that watches the shared state of a cluster … and makes changes attempting to move the current state toward the desired state." Think of it like this: A Kubernetes controller is to a microservice as a Chef recipe (or an Ansible playbook) is to a monolith. Each Kubernetes resource is controlled by its own control loop. This is a step forward from previous systems like Chef or Puppet, which both have control loops at the server level, but not the resource level. A controller is a fairly simple piece of code that creates a control loop over a single resource to ensure the resource is behaving correctly. These control loops can stack together to create complex functionality with simple interfaces. By requesting a ReplicaSet from Kubernetes, you get a self-healing deployment of your application. You can further add lifecycle management to your workload by requesting a Deployment, which is a controller that manages ReplicaSets and provides rolling upgrades by managing multiple versions of your application's ReplicaSets. These controllers are great for managing Kubernetes resources and fantastic for managing resources outside of Kubernetes. The Cloud Controller Manager is a grouping of Kubernetes controllers that acts on resources external to Kubernetes, specifically resources that provide functionality to Kubernetes on the underlying cloud infrastructure. This is what drives Kubernetes' ability to do things like having a LoadBalancer Service type create and manage a cloud-specific load-balancer (e.g., an Elastic Load Balancer on AWS). Furthermore, you can extend Kubernetes by writing a controller that watches for events and annotations and performs extra work, acting on Kubernetes resources or external resources that have some form of programmable API. Controllers are a fundamental building block of Kubernetes' functionality. A controller forms a control loop to ensure that the state of a given resource matches the requested state. Kubernetes provides controllers via Controller Manager and Cloud Controller Manager processes that provide additional resilience and functionality. The ReplicaSet controller adds resiliency to pods by ensuring the correct number of replicas is running. A Deployment controller adds rolling upgrade capabilities to ReplicaSets. You can extend Kubernetes' functionality by writing your own controllers. Some of the most common tickets in a sysadmin's queue are for fairly simple tasks that should be automated, but for various reasons are not. 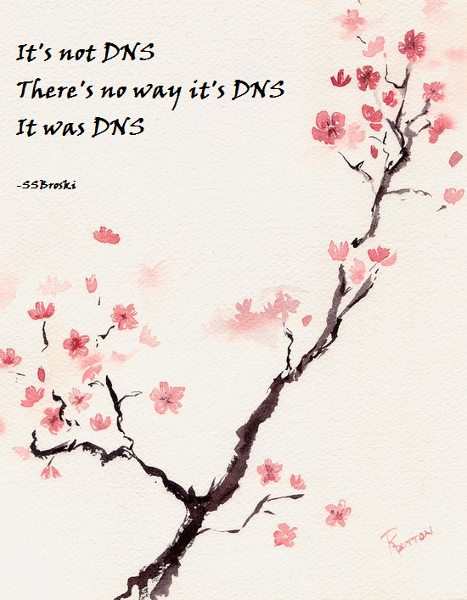 For example, creating or updating a DNS record generally requires updating a zone file, but one bad entry and you can take down your entire DNS infrastructure. Or how about those tickets that look like [SYSAD-42214] Expired SSL Certificate - Production is down? What if I told you that Kubernetes could manage these things for you by running some additional controllers? Imagine a world where asking Kubernetes to run applications for you would automatically create and manage DNS addresses and SSL certificates. What a world we live in! The external-dns controller is a perfect example of Kubernetes treating operations as a microservice. You configure it with your DNS provider, and it will watch resources including Services and Ingress controllers. When one of those resources changes, it will inspect them for annotations that will tell it when it needs to perform an action. Just like that, you now have automatic DNS management for your applications and services in Kubernetes that reacts to any changes in your cluster to ensure your DNS is correct. Like the external-dns controller, the cert-manager will react to changes in resources, but it also comes with a custom resource definition (CRD) that will allow you to request certificates as a resource on their own, not just as a byproduct of an annotation. cert-manager works with Let's Encrypt and other sources of certificates to request valid, signed Transport Layer Security (TLS) certificates. You can even use it in combination with external-dns, like in the following example, which registers web.example.com, retrieves a TLS certificate from Let's Encrypt, and stores it in a Secret. This was a quick look at one way Kubernetes is helping enable a new wave of changes in how we operate software. This is one of my favorite topics, and I look forward to sharing more on Opensource.com and my blog. I'd also like to hear how you use controllers—message me on Twitter @pczarkowski. This article is based on Cloud Native Operations - Kubernetes Controllers originally published on Paul Czarkowski's blog. Kubernetes in just five minutes? Jamie Duncan explains. Paul Czarkowski - DevOp at Large - @pivotal.